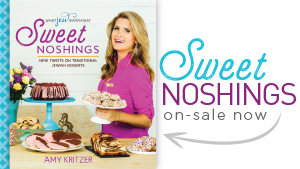 After the crazy delicious Apples and Honey Cupcakes I made last week for Rosh Hashanah, I knew I would have a hard time competing this week. 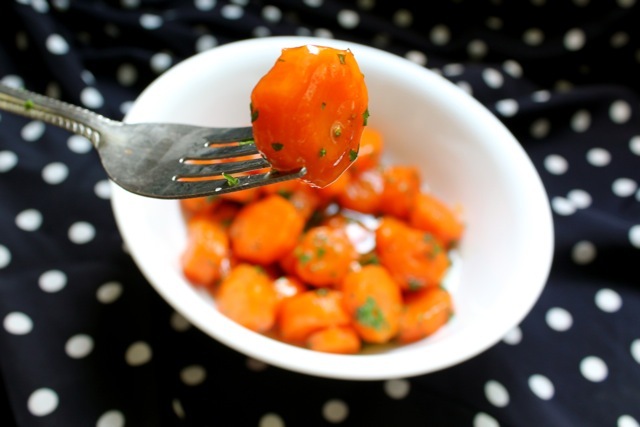 But I think I did it with these (wait for it) glazed carrots! Um, carrots? Really? Yes, really! 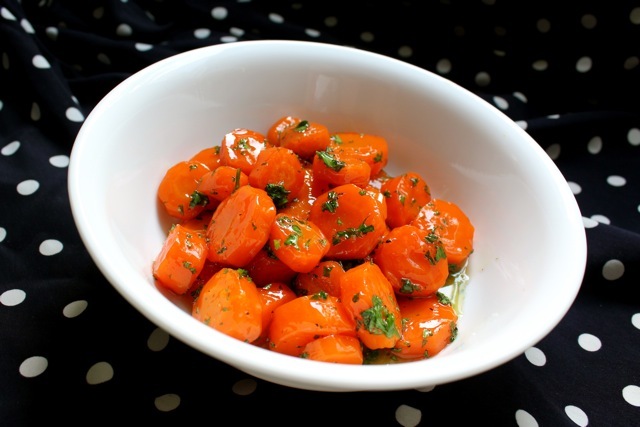 These carrots are the best carrots you will ever have. Dare I say life changing? Even veggie haters will be won over. What’s the secret? Butter and lots of it. Oh yeah I went there. I’ll share the recipe, but first a little housekeeping. 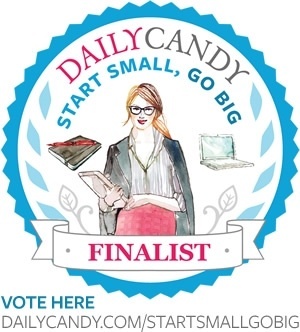 A HUGE thank you to everyone who voted for me in Daily Candy’s Start Small, Go Big Contest! All the support and encouraging messages literally brought me to happy tears, which NEVER happens. Mostly because I am an ugly crier. And think feelings are for the weak. But gosh darnit I was just so happy. You like me, you really like me! The winners will be announced September 4th, and I will of course let y’all know, but I already feel like a winner thanks to you! 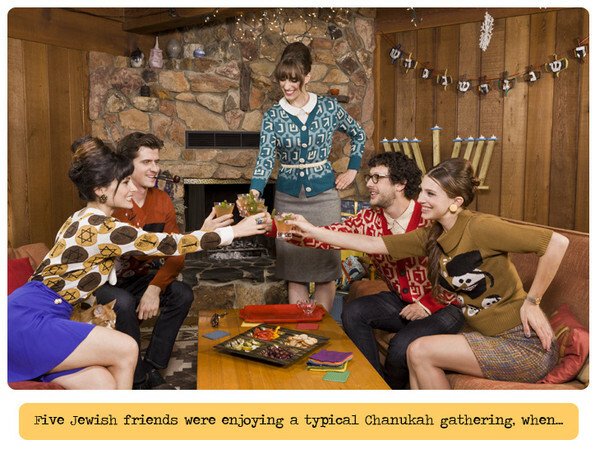 Also, tomorrow is the last day to enter to win an adorable Geltfiend Hanukkah sweater! Hanukkah will be here before you know if and you don’t want to be the only one with nothing to wear, do you? All you have to do is leave a comment on the giveaway post and you could be a winner! Now onto the good stuff- carrots! Here is all Jew need. 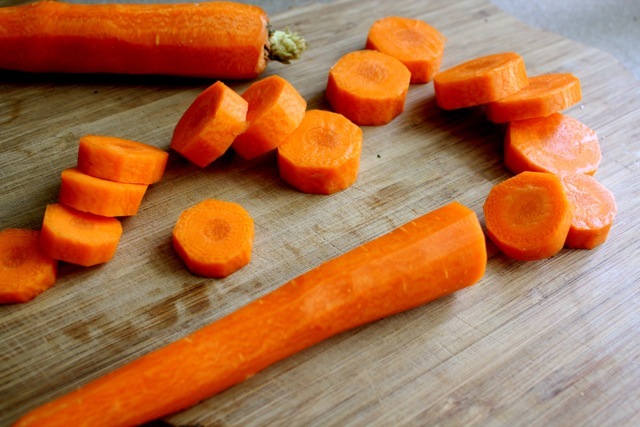 First, peel the carrots and cut into 1/2 inch round pieces. Next up, put the butter and sugar in a pan and add sparking water. 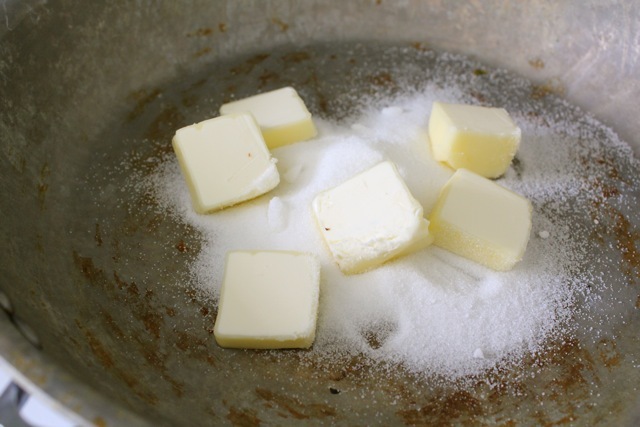 Stir until the butter is melted and the sugar is dissolved. 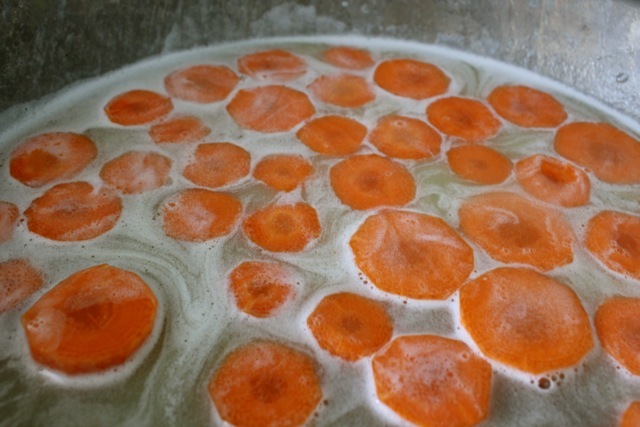 Then add the carrots in a single layer and cover with a lid. 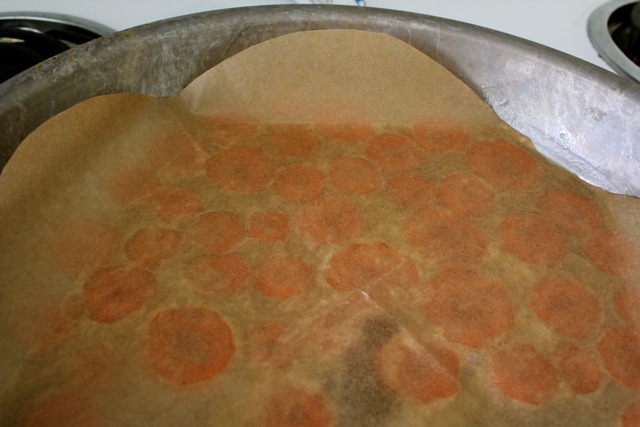 If your pan doesn’t have a lid, cut out a piece of parchment paper the size of the pan and use that as a lid. Cook covered for about 10 minutes until carrots are tender and the glaze is thick. Make sure to check on your carrots every so often to make sure there is still enough liquid in there. If it gets too low, it may burn, so add more sparkling water if it gets too low. 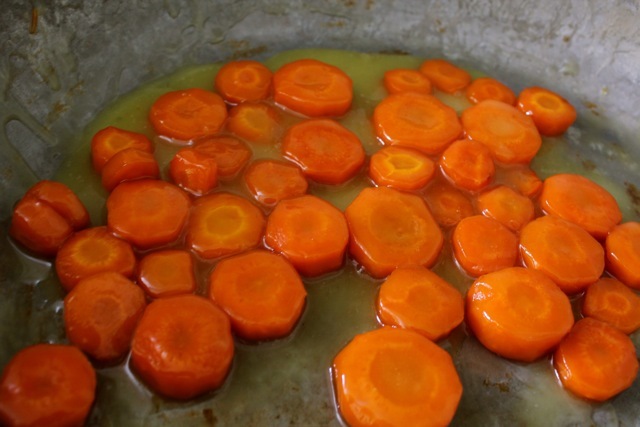 If the carrots are cooked and the sauce is still thin, remove the carrots and continue to cook the sauce until it is thick. Then add them back. Then season with salt, pepper and lemon to taste and stir in parsley. I may have said that butter is what makes these carrots awesome, but lemon does too. It really brings it all together. 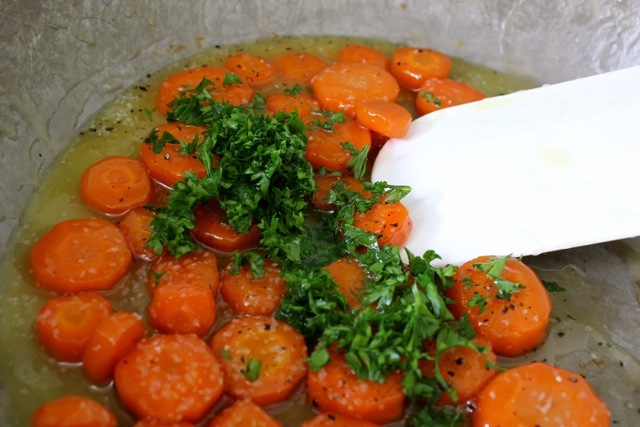 Make sure to wash and dry your parsley well so the green doesn’t bleed onto the carrots. Serve as a side to anything! Or do as I did and polish of a bowl in one sitting. Use a slotted spoon to transfer from the pan so it’s saucy, but not too saucy. 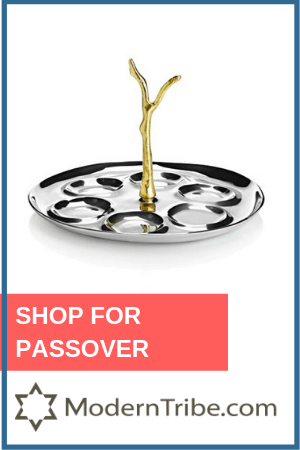 Perfect for Rosh Hashanah, Shabbats, and Tuesdays! The best carrots ever. Thanks to our friend butter! 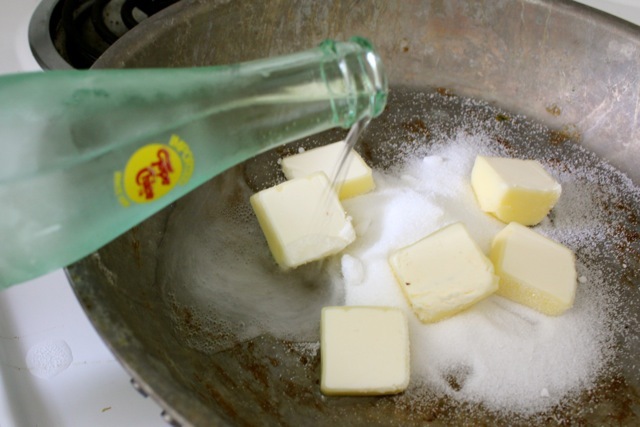 Put the butter and sugar in a pan and add sparking water. Stir until the butter is melted and the sugar is dissolved. Then season with salt, pepper and lemon to taste and stir in parsley. 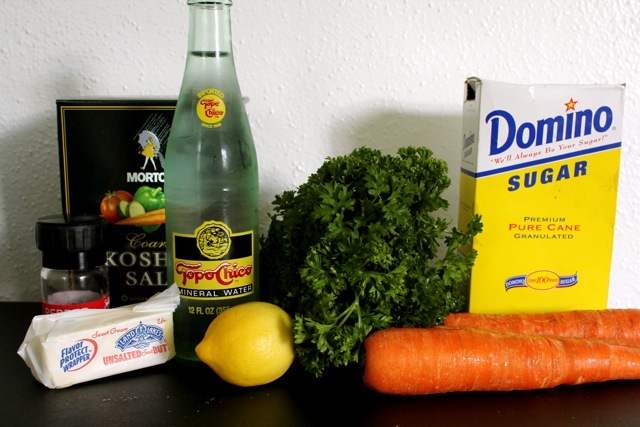 Make sure to wash and dry your parsley well so the green doesn’t bleed onto the carrots. Transfer to plate using a slotted spoon as to not take too much sauce. Serve hot! 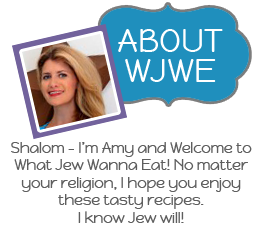 « Last Day to Vote on Daily Candy and WJWE in the News! Jew are the best ever!!!!! Sweet just like your carrots and the New Year!!! Your fans are awaiting the outcome of your contest and in our eyes you are a WINNER!!!!!! Thanks, Bubbe! I appreciate you telling everyone you met in the supermarket to vote for me. I voted pretty much every day. 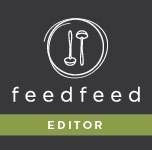 Love your site and if you put out a cookbook, I am first in line, please! Have to tell you, Hub and I checked out a bunch of your recipes a couple of nights ago…not in a creepy stalker way…and you have some really fantastic stuff which is now pinned to my Pinterest board because we are going to make them. Such great ideas! Thanks so much, Lisa! 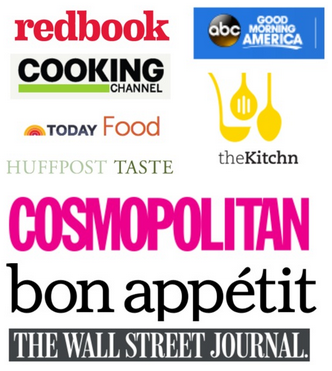 Glad you like reading my blog and trying my recipes. And thanks for voting! I’ll let y’all know the results in a week! 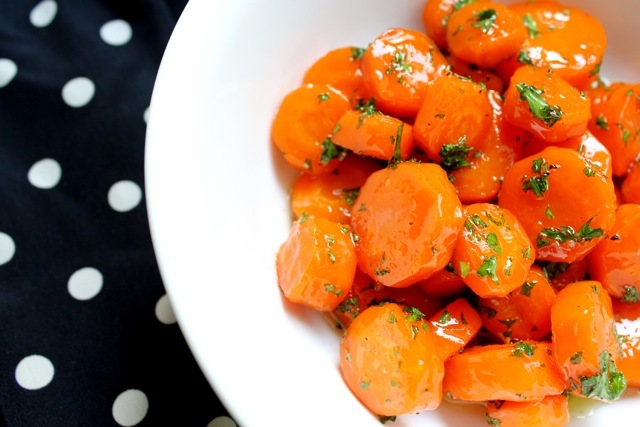 Trying these carrots because they look yummy! I wanted to thank you for sharing this delish looking recipe with us and I totally look forward to trying it tomorrow. Have a great day and keep’em coming. I made something similar last night, but did not know about the sparkling water or covering tip. Will try next time! Ooh how did yours come out? can these be made pavers with margarine?